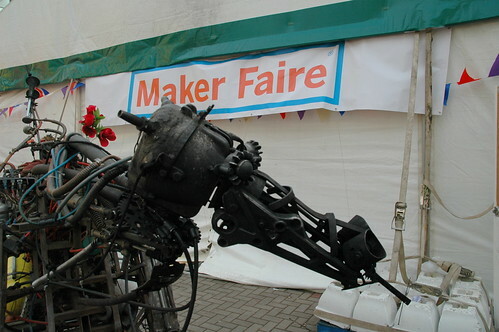 Maker Faire Brighton – What’s It All About Then? For the past few months I’ve been part of the team behind putting together the first Brighton Maker Faire. We have our venue booked and are now talking to makers who want to come and share their projects at the event on 3rd September. I thought I’d share a few of my best Maker Faire moments to inspire those who may not have been to one before and are wondering what it’s really all about. 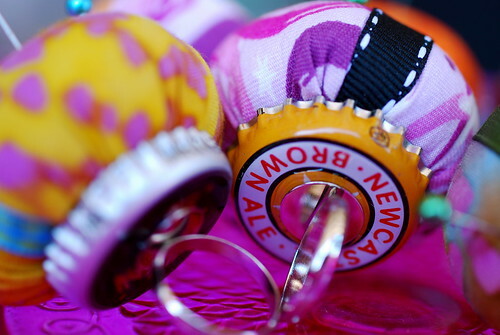 In 2009 and 2010 I travelled up to Newcastle to demonstrate technical creations from the BBC labs. The Faire up there is a fantastic event, for makers and visitors, but with all the groundswell of creative talent in Brighton we just had to put together a show down here. We’ll have all the amazing community and camaraderie of the MakerFaire UK, but with a bit more sunshine, a beach, and that certain Brighton twist! One of my favourite Maker Faire moments was in 2009, being involved with building and demoing the BBC WeatherCockBot (coding until 2am, building on the day, running for an hour, then breaking!). Other highlights from that year were the Chiptune marching band (all participants made instruments on the day! ), Paka the fire breathing robot horse dragon and Mitch Altman’s Alpha machine workshops. 2010 was a far bigger event with many many more visitors, and a pretty constant buzz. There were loads more makers too, a huge community atmosphere and a great crowd. The Hexapod robots, Power tool drag races and musical Tesla coil went down particularly well. Maker Faires are amazing events – part celebration, part convention, all creative. They’re a chance for all the back room tinkerers, hobbyist engineers, hackers and crafty types to come together and wow each other and the public with the best of their wares. As a maker you can always learn new tricks and skills from others, and at the Maker Faire it’s a chance to see the latest kits and tools for that special project you’ve been working on. And with all that enthusiasm around, you can just feel the inspiration hitting the visitors. Who wouldn’t want to build their own single wheel skateboard, fire breathing robot horse or drag racing power sander, or at least try. One of the best things about a Maker Faire is the chance to try new tools and kits. Pretty much everything at a Maker Faire is Open Source – the ethos of makers being very much that if it’s yours you have the right to break it to see how it works, and build it up again. 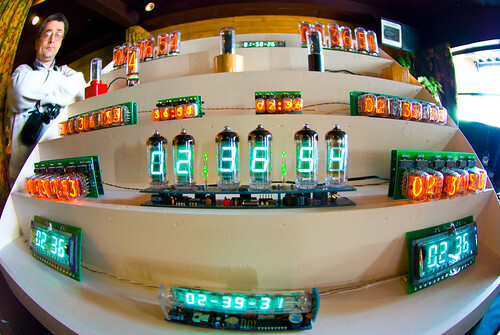 All the same, some things are worth buying in, such as robot kits from Oomlaut, Arduino hacking kits, hexapod robots or Nixie Tube clock kits. As a maker team we gave away instructions for how to make your own multitouch computer interface, and we weren’t the only ones with instructions to take away. Even if it’s just a mad idea for your next engineering masterpiece, you’re sure to come away with something great. Makers who are interested in demonstrating at Brighton Mini Maker Faire should head over to the Makers page to submit their application before 30th June.